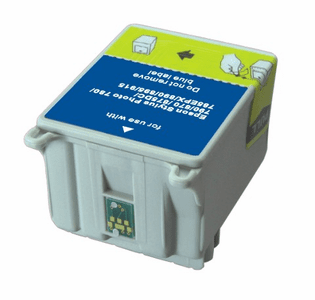 Epson 785epx ink cartridges remanufactured replacements, fax, and toner supplies listed are compatible remanufactured products. All inkjet, fax and toner products are ISO certified and 100% guaranteed. All CD-Roms are New, factory issued licensed software sealed in a Jewel Case, Flat-Pack, or Sleeve unless indicated as retail box and designed mainly to run on Windows 95/98/Me/XP based computer systems. All instructions or documentation is included on the CD Rom. Any CD Rom product found to be defective can be returned within 90 days and will be exchanged for the same title. Unopened software can be returned within 90 days for a refund, if applicable. The Discount Inkjet Product Store is not affiliated with, or endorsed by the companies mentioned on this website. All brand names used on this website are intended only to show compatibility of our products with the OEM brand name products and to ease navigation of the website. All product images are those of our compatible remanufactured Epson 785epx ink cartridges. All brand names and trademarks are the property of their respective holders. We do not sell original name brand inkjet products.